Opening words of welcome at the Symposium on Creation Spirituality held at the Carmelite Centre in Middle Park, Thursday 26th to Saturday 28th of May. As the first person to speak at this Symposium I wish first to acknowledge the Traditional Owners of the land, the Boon Wurrung people of the Kulin Nation, past and present, upon which our talks are taking place. 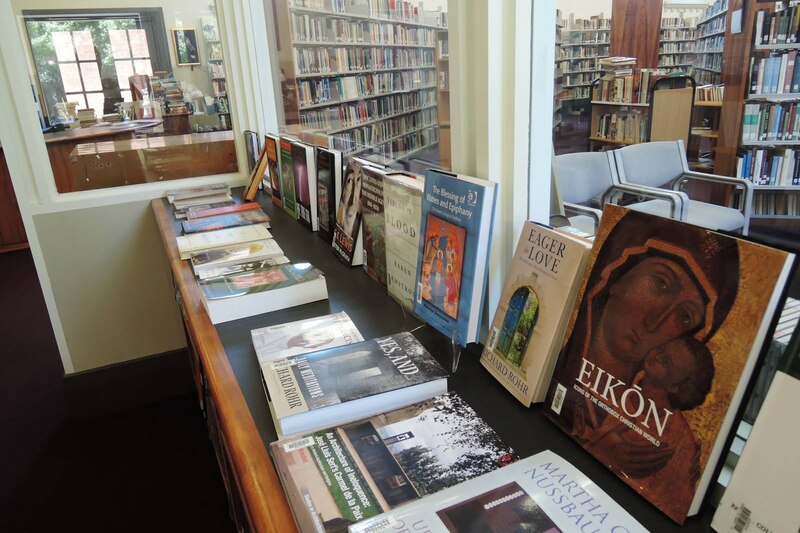 On behalf of the Carmelite Province of Australia Timor Leste and the Carmelite Centre and Carmelite Library, I wish to welcome you all to the Symposium, both presenters and all participants who are here to listen to the thoughtful words and see the many wonders available to all of us. Over the next three days we will meet new ideas and ancient wisdom, things we never imagined and things we live with every day, whether we like it or not. Creation is about as big as it gets. Our intention in opening up the discussion on Creation Spirituality is to look at as many aspects as possible. Creation is deep fabled in all cultures and we each arrive today with our own special versions of the Creation and of ourselves in that reality. We inherit a long and ambiguous history of understanding, an all too human understanding. In very recent times we have seen Bartholomew, the Archbishop and Patriarch of Constantinople, attend the papal inauguration of Pope Francis in Rome, the first time that the spiritual head of the Orthodox Church has done this since the Great Schism of 1054. Bartholomew is an environmentalist and is popularly known as ‘The Green Patriarch’. He writes: "The word “ecology” contains the prefix “eco,” which derives from the Greek word oikos, signifying “home” or “dwelling.” How unfortunate, then, and indeed how selfish it is that we have reduced its meaning and restricted its application. This world is indeed our home. Yet it is also the home of everyone, just as it is the home of every animal creature and of every form of life created by God. It is a sign of arrogance to presume that we human beings alone inhabit this world. Moreover, it is a sign of arrogance to imagine that only the present generation enjoys its resources." The title of our Symposium is 'Care for All That Exists'. This line comes from Pope Francis’ encyclical Laudato Si and is a core summary of the Canticle of Saint Francis of Assisi. It is almost a year since that encyclical was released, a document of international standing that will be looked at by several speakers and is formative for this Symposium. The context of our Symposium is unavoidable. Both in the big picture and the small picture of our world-home, we are called to meet the exploitation and degradation of that home. The Carmelite Eduardo Agosta Scarel, in his paper given in Australia three years ago ‘Clues to a Contemplative Ecology’, uses an expression of Saint John of the Cross. “The idea is to contribute to the recognition, or to fall into awareness … that a real awakening of conscience is urgent to resolve the crisis of creation’s health.” To fall into awareness is a main purpose of this Symposium. Before inviting Fr Ken Petersen to give the first presentation, I wish to give thanks to two early advisers for this event, Stephen Ames and Anne Boyd. We will be hearing Stephen this afternoon. Anne, who conducts the Eco-Spirituality Group here at the Carmelite Centre, sends greetings from Ireland where she is attending special meetings of her Order. I wish also to thank in advance all of our speakers, for their time and their thought in assembling their presentations for us. We look forward to hearing their words and learning from their knowledge and experience. Care for all that Exists: A Symposium on Creation Spirituality. The title of this year's Symposium is from the Pope's encyclical Laudato Si, a core summary of Saint Francis' Canticle. The three day event involves a wide range of outstanding speakers on the theology and spirituality of Creation. The symposium is broad-ranging and includes scriptural, cosmological, scientific and activist interpretations. Key Note Speaker: Professor Denis Edwards - Australian Catholic University, Adelaide. The Hall was built in 1918. Courtesy of Esmae Boutros, Carmelite Archivist. The history of the Carmelite Order in Australia begins with the arrival of five Carmelites from Ireland in 1881. The first part of the history extends from that date to the building of the Middle Park and Port Melbourne priories in 1909. The second period extends from that time until 1928 when the Australian Commissariat was established and the first candidates were accepted for formation within Australia. This fifty year period is the focus of this paper. It begins with the building of the Middle Park priory but it also looks at events which preceded and followed that significant happening. On Pentecost Sunday, 30 May 1909, the autumn sun shone brightly in the crisp Melbourne air. Among the Carmelites and their parishioners there was a feeling of excitement because that afternoon Dean Patrick Phelan, the Vicar General, was to bless and lay the foundation stone of a new priory which was under construction in Wright Street, Middle Park. In the morning the Prior, Joseph Kindelan and Father Francis O’Reilly celebrated Masses in the church of Our Lady of Mount Carmel in Richardson Street, a church which the Carmelites had built eighteen years before, and Father John Scanlan and Father Patrick Canavan celebrated Masses at St Joseph’s Church in Rouse Street, Port Melbourne which had been entrusted to the Carmelites when they were given the parish twenty seven years before. It was not only that the Carmelites had hoped the Archbishop would bless and lay the foundation stone. They were also hoping that he would have taken the opportunity to announce that the parish of Port Melbourne, formerly Sandridge, would be divided and a new parish, Middle Park, formed and entrusted to them. But that did not happen. There was no Sunday sport of any kind and the blessing or opening of a church, presbytery, school or fete at which the bishop and others would give speeches about education and social issues, punctuated by applause and cheers, was standard Catholic entertainment. Members of the Hibernian Society in regalia were lined up to form a guard of honour from the church to the new priory and the band of St Vincent’s Orphanage South Melbourne was providing a musical background. As the people waited, some of the ladies chatted with each other about the forthcoming Carmelite Ball, (4) the eleventh, and Secretary Frank Wrigley moved among parishioners, urging them to finalise their tables. The Ball was already a major social event which was to run for another seventy years. Right on time the doors of the church were flung open and altar servers, visiting clergy in choir dress, the four Carmelites in white cloaks, and the Dean, a tall handsome man in full regalia, made their way in procession to the dais in front of the partially completed building where the mayor, politicians and prominent members of the laity were waiting. The Dean then proceeded to address at length a current controversial education issue. It had to do with a proposal to teach the Bible in state schools and his long speech was punctuated by applause and cheers. Then no less than three politicians made speeches congratulating the Dean on his care of the diocese in the Archbishop’s absence and, in passing, encouraging all present to subscribe to the cost of the new priory. Finally it was Prior Kindelan’s turn to speak. He thanked everyone and read out the list of subscribers, the first of which was one hundred pounds from the Carmelites and twenty five pounds from the Dean. In all, 523 pounds was subscribed and there was one thousand pounds in hand, well short of the eight thousand pounds the priory was costing. The new Priory was in fact being built in the style of many Australian presbyteries: two stories, wide verandas, high ceilings and provision for the sea breeze to blow through, all to minimise the fierce summer heat which those coming from the northern hemisphere so dreaded. It did not include the present four upstairs bedrooms furtherest from the street which were not built until the late nineteen thirties. That evening the four Carmelites sat around and talked about the day and the events which had led to it. It had been a particularly difficult few months. They were trying to build not one but two new priories and they were living in cramped and temporary accommodation. Ideally they would not have moved out of their priory on Beaconsfield Parade until the new priories were built. Which raises the question: Why had they moved out anyway? four days later. But the Brigidines had more in mind than the staffing of St Joseph’s school. They also wanted to open a central novitiate and to establish a primary and secondary school for girls which they would call Kilbride. So for the time being two of the Carmelites were living in a house in Rouse Street, Port Melbourne and two of them in a house in Armstrong Street Middle Park. The opening of the new priories could not come soon enough. One matter the four Carmelites discussed that night was Dean Phelan’s comments about the positioning of their first priory on Beaconsfield Parade and they asked themselves the question they had asked themselves many times before: why did Joseph Butler build where he did in 1886? As the Dean had said, for over twenty five years the people, if they wanted a priest, had to go to the priory on the beach road and each morning the Carmelites had to set out, either walking or on a bike, to go to St. Joseph’s Church, and after 1891, to the new church of Our Lady of Mount Carmel in Richardson Street, and after December 1892 to the chapel of the Good Shepherd sisters at Rosary Place. The answer to the question lies in the aspirations of Prior Butler, first superior of the Australian mission from 1881 to 1894. The Carmelites came to Australia as a result of an agreement between Bishop Reynolds of Adelaide and Father Michael Moore, provincial of the Irish Province, and they were given the extensive but far from wealthy parish of Gawler. The presbytery they inherited, while spacious enough, was able to accommodate only three or perhaps four, but was certainly inadequate for five. There was little in the way of furnishing. They were already on their way to Australia when Archbishop Reynolds, who was visiting Ireland in search of priests and religious, wrote to Mother Mary of the Cross MacKillop telling her he feared his vicar general may not have done anything to prepare for the Carmelites, that ’there may not even be mattresses for them,’ (13) and asking her to do anything she could as discreetly as possible. Within weeks of their arrival in Gawler, Prior Butler, he was always known as Prior, was making contact with Melbourne’s Archbishop Goold and offering the service of the Carmelites to preach missions. Goold was grateful to accept the offer and in October Joseph Butler and Patrick Shaffrey, not long ordained, began a series of missions beginning at St Francis Church and finishing at the Cathedral. From there things moved rapidly. By May, Butler and Shaffrey were back in Melbourne and Goold cut off the Sandridge part of the Emerald Hill parish and entrusted it to them. The Carmelites were in Melbourne to stay. Their first home was at Nott Street, Sandridge but Prior Butler wanted a worthy mother house for the Order in Australia. Within months he had bought a large block, at an inflated price which reflected the boom conditions, on the striking new boulevard called Beaconsfield Parade. Tea tree and wild flowers abounded and most of the area was undeveloped. It took time but in 1886 Butler built a priory which stood out both because of its size and its position. Archbishop Goold laid the foundation stone on 23 May of that year, just a few days before he died. For the Carmelites it was to be the base for their parish ministry, the base for their outreach for missions and retreats and, who knows, perhaps a place for training candidates for the Order. Meanwhile Butler’s reputation as a speaker and preacher grew remarkably. He received invitation after invitation to preach on special occasions, to attend openings, to give lectures and to give missions. So effective was he, so accomplished, that he was invited to Sydney, to Queensland and then to New Zealand. He was well supported by Patrick Shaffrey who was also an outstanding preacher. Sometimes the two of them worked together, as when giving missions, sometimes separately. Their names are mentioned again and again in the Catholic papers. But Butler was undeterred. In Melbourne everything was prospering and the Carmelites shared in the optimism. Butler was something of a speculator himself. Besides buying the land for the priory and then building substantially, he bought 640 acres in Queensland, (16) an investment which ended disastrously. He bought land in Mary Street, St Kilda for a future church and then bought another block on the corner of Kerford Road and Merton Street and started to collect funds for a new church for the burgeoning Middle Park area. In time he realised that the block was too small and, even though he couldn’t sell it and continued to pay rent on it, he bought a larger block on the corner of Richardson and Wright Streets and declared that this would now be the site of the church for Middle Park. It certainly affected the Carmelites but Butler held his nerve. To some people it must have seemed foolhardy because in the face of the rapidly declining financial situation he decided that the building of the Middle Park church must go ahead. Archbishop Carr laid the foundation stone for it in November 1891 and exactly a year later it was blessed and opened by Bishop Reville of Sandhurst. It held 500 people. In the same year a school-hall was opened beside the church. Somehow the Carmelites got through the 1890s although one wonders how they did it, given the huge debts they were trying to service. Then suddenly Butler was recalled to Ireland and Thomas Kelly took his place. Did Butler fall out of favour with the Irish Provincial Council? Did they consider he had overstretched himself? Did he burn himself out? The Chapter of 1891 had confirmed him as superior of the Australian mission but in March 1894 he was recalled. The Advocate, which had devoted so much space to his farewell three years earlier, said simply that the Provincial wanted to confer with him on matters of importance in connection with the Order. (20) He was fifty years old. By the following year the debt was 9,000 pounds and Tom Kelly started an appeal in the diocese to which the Archbishop contributed. The property on Kerford Road was still unsold and costing rent and there were still regular payments to be made on the block on which the church had been built. By 1900 the Order was facing bankruptcy, as a parish and as the Australian part of the Irish province. In an unprecedented gesture of support, no doubt because they did not want to be associated with the scandal and humiliation of a Catholic parish going into liquidation, all four Victorian bishops gave permission for an appeal. The Carmelites established Our Lady’s Guild of Ransom and that saved the day. They were scarred by the experience but certainly not paralysed. They survived the first decade of the new century and the financial position gradually improved, helped by the increasing numbers at the Middle Park end of the parish. And when the Brigidines took over St Joseph’s school the financial burden on the parish was lessened. In proposing a vote of thanks to the Dean, the highly respected Dr A L Kenny said the Carmelite Fathers ‘were very modest, hardworking men.’ They had done great work in the past and were doing splendid work in the present. He recalled Prior Butler, who was respected throughout Australia, Father Shaffrey and Prior Kelly. Applause followed the mention of each name. Prior Kindelan thanked the Dean, the diocesan priests, parishioners and friends for their support. Again the Carmelites contributed 100 pounds and the Archbishop sent 20 guineas as a mark of his support. Once again nothing had been said about the division of the parish, yet it must have been constantly on the minds of the Carmelites. Ofcourse there was no guarantee that the new parish would be entrusted to them. 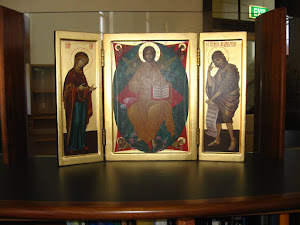 By some strange turn of fate, the decree of the Archbishop finally dividing the parish of Port Melbourne and committing the new parish of Middle Park to the Carmelites cannot be found in the Archdiocesan archives, nor in our own archives nor in the archives of the Irish Province nor in the archives in Rome. The building of the two priories was a catalyst for a remarkable development in both areas of the parish, especially in Middle Park. Within a few years the Carmelites and their parishioners had built half a new church by replacing half of the original one, and they had built a magnificent new hall beside the church and a school for boys in Danks Street. At Port Melbourne they built a new primary school in Bay Street in the heart of the city and this was a double blessing. It was a large building with spacious rooms and wide corridors for an increasing number of children and it freed up the school hall so that the social dimension of the parish could be enhanced. Then later under Peter O’Dwyer’s leadership St Joseph’s church was extended and enhanced. It is clear that the number one priority of the Carmelites was the development of two outstanding parishes which would be pastoral, spiritual and social centres. They devoted all their efforts to this task and they no longer involved themselves in missions and retreats as happened in the days of Joseph Butler, Patrick Shaffrey and Michael Moore. At Middle Park the church, hall and priory became known as The Carmelite. It was highly significant in the life of local Catholics and association with it helped to identify them. From the beginning the two parishes were different and reflected the character and social status of the two suburbs. At Middle Park many of the men went off to work in suits and ties to offices in the city. At Port Melbourne there was work closer to home on the wharf, at Dunlops, Swallow and Ariels and Kitchens, the latter two providing work for women as well. In 1910, for a brief period, the Carmelites reached their highest number. There were four of them in Middle Park, two in Port Melbourne and four in Port Adelaide, ten in all. Unfortunately these numbers were not maintained. Middle Park was now the mother house of the Order in Australia. Prior Kindelan lived there and interestingly John Scanlan, who moved into the new Port Melbourne priory, and was given responsibility for the community and the parish, does not seem to have had the title of prior. That did not happen until his successor, Peter O’Dwyer, was appointed in 1921. This meant little to the parishioners who simply lived their own lives and were glad to take advantage of what their respective parishes offered. What they had in common was the Carmelite connection, the Carmelite presence and Carmelite ministry. Occasionally someone would be rash enough to make some kind of comparison. 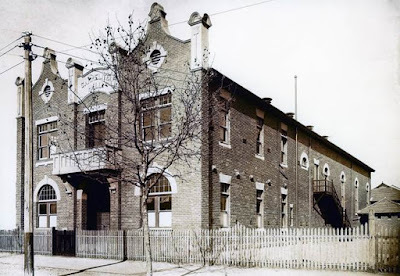 Mother Anthony Byrne, long time head of St Joseph’s school, scoffed at the notion of rivalry, saying it was ‘twopence looking down on penny halfpenny,’ (26) but woe betide anyone in the convent or in the two parishes who suggested that Port Melbourne was not the better place. The Irish Carmelites had no parishes in Ireland. Public churches, yes, but parishes, no. So those who were appointed to the Australian mission so far from home faced a substantial challenge, a learning experience. They met that challenge well. There is no doubt that their parishes thrived and they were popular pastors. But the continuing source of concern was how to persuade the mother Province to keep up a supply of suitable personnel to maintain and develop the Australian mission. The first four leaders of the mission, always called Prior, were certainly long time stayers. Joseph Butler, Thomas Kelly, Joseph Kindelan and Robert Power covered a period of over fifty years. Kindelan and Power spent the rest of their lives in Australia, as did John Scanlan, Paul Clery, Bernard Mansfield, Bernard O’Farrell, Timothy Cotter, Arthur Molloy, John O’Beirne, Thomas Murphy, Terence Lynch and Martin McMahon. Some, like Patrick Carr and Peter O’Dwyer, and in our own day Maurice Barry, stayed for many years and then returned to Ireland but in the first fifty years some were here for just short periods, which was hardly a recipe for continuity and stability. Clearly the Provincial Council in Ireland did not have the men who would be suitable for the Australian mission. Besides, in 1889 the Province took on a second mission, this time in New York, and this made continuing demands on the mother province as well. If the Order was to have a future in Australia, young Australians would have to be encouraged to join it. But there was great reluctance to offer such encouragement because any candidate would have to set off on a long sea voyage, do a novitiate in Ireland and then go to Rome. This was a burning issue for years. In 1906 Peter Elias Magennis, who was returning to Ireland to become novice master, then assistant general, then prior general, took with him a seventeen year old youngster named Michael Gerhard whose family Magennis had known in Gawler. The following year Patrick Gearon and his brother Eddie travelled from Port Melbourne to join the Order. It was eight years before another candidate, Walter Bridger, made the journey in 1915, and then another seven years before Charles Nalty, William Nugent and Enda Carney did the same. They were followed by James O’Sullivan. Both he and Enda Carney became ill in Rome. Enda died and Jim came back to Australia a sick man. He never properly recovered. These bad experiences registered deeply. An elderly Columban who grew up in Port Melbourne recalled that as a young man he approached John Scanlan and asked him about joining the Order. He received positive discouragement. (28) That incident reflected the attitude of the Carmelites at the time. They wanted to establish the Order on a firm footing but were reluctant to encourage any young man to risk the only vocational path they could offer. It was not until 1928, nearly fifty years after the Australian foundation began, that Robert Power fulfilled a personal dream and opened a novitiate in Albert Park The first novices were Edmund Nugent, James Meehan and Charles Parkin, followed shortly afterwards by Joe Phillips. Should the Carmelites have developed local vocations more vigorously and imaginatively? Or was the concept of Australia being a missionary country so engrained that it was hard to imagine it as other than a dependent mission? What did the Carmelites who moved into the new priories at Middle Park and Port Melbourne in 1909 envisage for the Order in Australia? They were in a pioneering country and it was the day to day issues which were most pressing. They had come from an Ireland and a Europe which had suffered decades and decades of war and persecution. The Church and the Order were, in a sense, still in survival mode. Their most important priority was building up strong faith filled parishes. They were proud of their Order’s history and their Order’s saints. The ideal held out for each community was to exercise effective and compassionate ministry and for the individual to be a man of holiness and to have great zeal for souls. It is a fascinating story, a story which has, however subtlely, left its mark on all of us who have followed them.